All garments are great, but every now and again something comes completely out of nowhere to not only take the world by surprise, but permanently change the way we look at and approach fashion. Think of it this way – can you possibly imagine a time when the humble hoodie as we know it today really didn’t exist at all? It’s almost impossible to conceive, but this was exactly the case just a few decades ago when hoodies in their modern form at least had yet to be invented. Of course now that they are with us this is something of a dark age in fashion we don’t realistically have to consider – hoodies are here and here to stay. But even today, many decades after hoodies well and truly hit the mainstream, how is it that they can continue to be quite simply the greatest garments out there in spite of such enormous variety on the market and their inherent simplicity? First of all, it’s worth considering the way in which hoodies represent a very rare example of a garment which continues to look every bit as relevant and fashion-forward today as was the case several decades ago. And it’s pretty clear that they won’t be going anywhere in the near future either as with each passing season, hoodies once again reappear in one form or another on the catwalks of the world’s fashion capitals. As such, to invest in a hoodie at any time is to invest in something that you know is going to carry on looking simply fantastic indefinitely. Of course it’s not only about looks as one of the other incredible plus points when it comes to hoodies is the way in which they are also uniquely practical. Warm in the winter, cool in the summer and comfortable enough to be worn day in and day out regardless of the weather, it really is impossible to go wrong with a good hoodie. They can be fleece-lined, made exceptionally thin and modified in all manner of ways, shapes and forms – aside from the classic short sleeve t-shirt, there’s perhaps no other garment that comes close to the hoodie when it comes to practicality. Hoodies are also universally versatile as there’s pretty much nothing out there that they do not compliment quite brilliantly. What’s great about a high-quality hoodie is the way in which it can be used alongside pretty much anything else at all to create a brilliant layered look – the same applying to both men’s and women’s fashion alike. From jeans to skirts to shorts to leggings and everything else besides, hoodies represent the ultimate ‘go-to’ that can be thrown on with anything without having to think about it. And as already touched upon, it is of course an additional blessing that this carries over throughout all four of the seasons. One of the main reasons why the biggest fashion houses in the world are so in love with the humble hoodie is the way in which it gives them near infinite scope when it comes to customisation and modification. With the addition of even the simplest of logos or designs, printed hoodies suddenly leap out at you as some of the most vibrant and inspiring garments on the face of the Earth. What’s more, customising hoodies manually either at home or with the help of the professionals can be incredibly easy, affordable and rewarding. These days, more amateur designers and DIY enthusiasts are taking to the idea of printing their own garments and coming up with genuinely world-class results the likes of which have the added bonus of being completely unique. 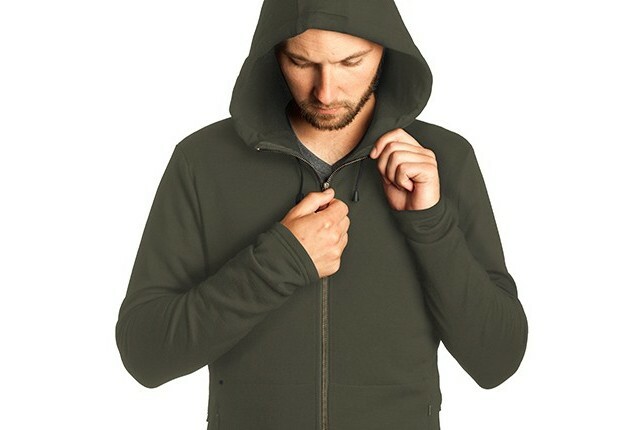 Last but not least, it would be impossible to discuss the biggest benefits and plus points of hoodies without highlighting the fact that they are also among the most affordable of basics ever to be introduced. Even in the case of the more upmarket hoodies of the highest quality, a basic hoodie serving as a blank canvas costs next to nothing. Of course there will always be a rather large arsenal of overpriced designer hoodies on the market, but beneath the labels and the printed logo on the front, it will always be the same very simple, very affordable garment. Suffice to say, this inevitably makes the appeal of DIY design and printing even greater.